The nation's busy but easy-going capital, Bridgetown, is one of the oldest cities in the Caribbean. Its architecture blends attractive, balconied colonial buildings with warehouses and brash modern office blocks. The centre of activity is the Careenage, a marina bordered by the Barbadian parliament - home to two fascinating local history museums. 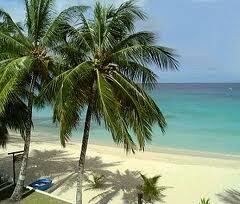 Bridgetown, the capital of the island of Barbados has a superb location on Barbados’ only natural harbour. The only city in Barbados, Bridgetown is also the commercial hub of the island and has a busy port popular with fishing boats, yachts and cruise ships alike. 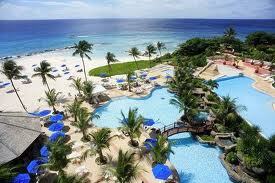 As well as charter flights, direct flights to Bridgetown are available on British Airways and Virgin Atlantic. Due to the popularity of this stunning island, we strongly recommend that you avoid travelling during the busiest times of the year (Easter, Summer and Christmas) in order to benefit from the cheapest flights on offer. Head to Broad Street, the main street in the capital, for some souvenir and duty free shopping, Barbados is a great place to buy some unique pottery, art and colourful fabrics. At the end of Broad Street, Bridgetown’s civic centre can be found including the gothic Parliament Building dating from 1639 and a statue of Lord Nelson which pre-dates the one found in London’s Trafalgar Square. The Barbados Garrison is the former 18th century base of the British Windward army. It is now occupied by the Garrison Committee who have done a great job of unearthing military treasures including over 400 cannons which were dotted and buried around the island. In the main Guard House of the Garrison complex, the most important pieces of military history can be found including fascinating photographs and artefacts. The Garrison complex is also home to The National Museum of Barbados – located in the military detention part of the barracks, the museum’s galleries were once prison cells! As well as the interesting military history of the island, the museum also has many exhibits detailing the natural history of Barbados and vibrant examples of the local arts and crafts which can be found here. Give our Directflights.com flight comparison search a try to find yourself some of the best deals on cheap flights to Bridgetown, Barbados. Comparing in excess of 500 airlines and travel companies, we can find you the very best airfares on low cost flights as well as lastminute flights. Year round Bridgetown has days and days of glorious weather. Bridgetown is reliably hot with almost no variation in temperature. It hovers just below 30°C in the peak of the day and sidles down to the mid 20s at night. Seasons are defined by rainfall and humidity. The dry season, from December till May, can still see some rain but is, for the most part, dry and sunny. Rain falls in short storms that quickly give way to clear skies. The wet season, from June till November, coincides with the hurricane season, and as such is much less popular with tourists. Rainfall increases steadily to a peak in October, falling on most days in heavy storms.